By tour0655 on 10 August 2012 . The William Morrison Home, originally situated on 60 acres, is among the oldest surviving homes in Tampa. Romantic period Italianate style homes like the Morrison Home are rarely found in Florida. The two story house features a low pitched roof with a significant cupola on the front facade. Constructed between 1879 and 1881, the architected style, building plans, and building components were obtained from a pattern book of home styles. The components were shipped from Kansas down the Mississippi River to the site by ship. The building materials included architectural and decorative details, concrete, and various building forms to fashion concrete blocks and quoins. This house is one of the first concrete block homes to be built in Florida. After the home was built, Mr. Morrison planted the surrounding acreage with citrus trees. As Hyde Park grew, farming was supplanted with residential development. 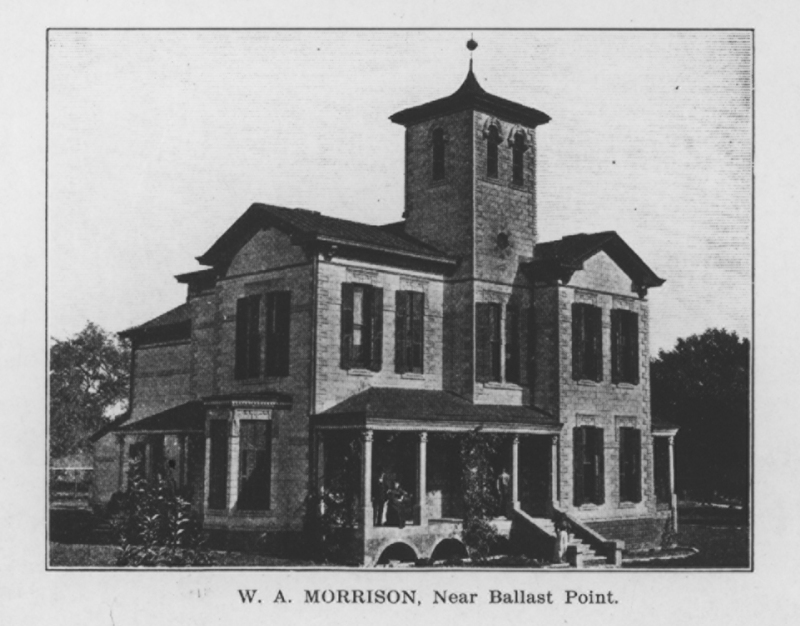 On January 8, 1915 Mr. Morrison filed a subdivision plat creating Morrison Grove subdivision. Soon the citrus grove was replaced by homes in Craftsman, Prairie, and other Eclectic period styled homes. The Morrison House lost its commanding view of Hillsborough Bay as new homes were built surrounding the building.